So much of what we do in today’s world is virtual. Our ‘friends’ are now people who connect with us on Facebook. You can be part of a ‘community’ all or most of whom you’ve never met in person. Where have all the people gone? Why don’t we meet and learn face-to-face? Yes, convenience seems to be the #1 consideration when it comes to learning, but what about quality? What about your ability to apply that knowledge in real-LIFE situations and perform with other living, breathing human souls? 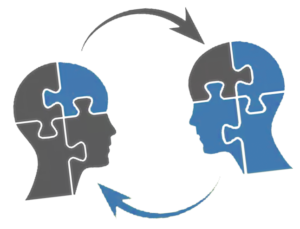 Meeting and learning in person, face-to-face is more powerful than meeting or learning via phone, webinar, podcast, Skype, Slack, or any other technology-enhanced, virtual mode of communication. Why? Why is it that so much more can be accomplished, retained and reused when we show up in person? Instead of wondering what the other people are really thinking (because we can’t see or hear their nonverbal communications), we can see and sense from their facial expressions and body language including their level of authenticity and sincerity. Showing up together inside four walls actually removes the walls that virtual communication erects. For me to meet you face-to-face, I have to get out of bed, shower, brush my teeth, comb my hair, select appropriate shoes and clothing, gather my thoughts and maybe even materials and then hop into some mode of transportation to arrive where you are. This means that I am focusing my thoughts and attention on you for an extended period of time. I’m considering your wants and needs for many minutes and possibly hours… not for the 30 seconds that I would normally spend to prepare for a virtual meeting. Think about what happens during a phone or audio meeting. You hop on a call after maybe 5 minutes of preparation, then, during the call, your mind wanders. You check your email, add to your to-do list, gaze out the window or wish you had a window to gaze out of. The same things happen on a video call or webinar although maybe to a slightly lesser extent. And that’s just meetings! Think about the books you’ve read, online courses you’ve taken, videos you’ve watched… how much time, attention, and focus did you invest to prepare yourself for the interaction and learning? In my life, beyond formal schooling, when I wanted to learn something new, I researched, read, and registered for online courses or webinars. Consuming training this way saved me time, energy, and money that I would’ve spent on travel and packing and preparation. It seemed so much more efficient, right? Human beings are wired for connection. When we are around others, we are more focused and present. We are learning and growing together. Yet sometimes our mentality is… why would you ever pay more to travel to a place when you can experience at home? Wait! Why is it that anyone would ever pay to go to a live concert? Why do we meet in churches, mosques, and synagogues? Why does my community have Food Truck Fridays on the first Friday of every month? Can’t we just buy CDs (yes, I’m old-school), download MP3s or just stream the music? Can’t we just watch Joel Osteen on TV or watch YouTube videos of spiritual teachers online? Can’t we just eat food that we cook for ourselves in the privacy of our own home? As I started my journey into the science of axiology, I took hours and hours of online training via teleconference and webinar. I learned a lot. Then, I went to a 2-day retreat in Salt Lake City to meet others in the class and spend time with our teachers. 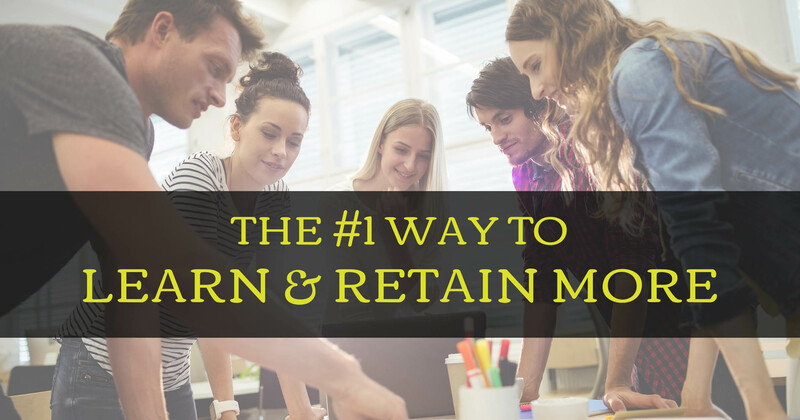 I experienced the power of what I had learned in those webinars and phone calls firsthand. I grew exponentially in my confidence and experience with this new knowledge and these new principles. As I’ve started coaching executives and leaders, I often did that over the phone. But, last month, we got a group of clients together for a 2-day LIVE event. The learning was EXPONENTIAL. The participants came up after the event and volunteered to give us testimonials because the program had such a profound impact on them. Many are still talking about it weeks after the event. That’s what LIVE development programs do!! Think about the times when you learned and grew the most… the times when you were able to truly experience the knowledge that you had just learned… when it moved from your head to your heart. I bet it was a time when you were around other people, live and in-person, right? In live settings, our brains are able to relax and reach synchronicity that can’t be achieved as easily or as deeply through media like phones and computers. There is a special area in the human brain devoted to facial expressions and body language that can’t be activated through a screen. The left inferior frontal cortex contains mirror neurons or neurons that fire during the performance of an action OR while watching others perform an action. Synchronization of the human brains at a subconscious level occurs at live event experiences and more information is ascertained and retained. It’s like all of the co-located brains are talking to each other and singing together in harmony. The song is not only beautiful but powerful and moving. What are you missing out on by limiting your learning and meetings to virtual experiences? What value are you and your team members losing because you never meet face-to-face? Oh, I know, it costs money and time to get everyone together, yet research shows that it is well worth it. Research shows that 93% of communication is non-verbal. Body language is a major part of improving our communication. It is not just how something is said, but also the facial expressions, body positions and tone of voice of the speaker. This is lost in a phone conversation, text message and even in video conferences where the image is cropped at the head. In-person events dramatically increase participation and experiential learning. When you are all in the same room, people are encouraged to participate. If not by the instructor, then possibly by other participants. You can be inspired to learn as you see other people learning. You can’t just go sit in the corner and turn your back to the presentation. Yet, this is exactly what many people do on conference calls and in e-learning courses. Builds more authentic and trusting relationships. These relationships foster attention to and retention of what is being communicated. The brain is not only able to remember the ‘what’ but also the ‘who’ and the ‘how’ and all of the surrounding experiential encounters. We experience true connections through the power of touch. Shaking hands causes the centers of the brain associated with rewards to activate. You are literally conveying warmth. We learn better in warm, safe and inviting environments. Instead of just communicating with one another (as we would virtually), we are truly connecting with one another. Face-to-face training is more efficient and effective for all the reasons above and because there is more accountability to get to the point. Teams that learn together perform 37% better than those that don’t. If you could get 37% more focus and productivity from your team, what would be possible? What could come from that type of exponential growth in focus and cooperation? Certainly, the value would be worth far more than the investment in travel. Learning in-person, face-to-face is so important in today’s virtual world. What can you do today to bring people together, learn more deeply, and build true connections? Check out the Mindworx 2-day Intensive Workshop where we will do the work together to put you firmly on the path to success and fulfillment. You can find all the details at http://mindworxlive.com.